Bulls are not killed off easily, They are strong, fierce and have real staying power. And this is what should be expected at a top of a secular bull market. Injured or weakened, the bull will still go on which is the case with many stock markets. Whilst some markets have peaked globally, others show strength. A week ago markets were ruffled by major falls, Was that the signal for the end of a multi decade bull or was it just another brief correction before the bull breaks out to much higher levels? With a further fall this week, the Dow is now down 2,000 points in October which certainly confirms that the bull is seriously injured, maybe fatally? Let’s first make it clear that the world economy and global stock markets are at the end of the biggest bubble in history. A bubble fuelled by unprecedented stimulus from central banks and governments to prevent the financial system from imploding. As many of us know, credit expansion is the most effective and inexpensive method to buy votes. And it is the only way to artificially keep the economy going when governments run out of money. 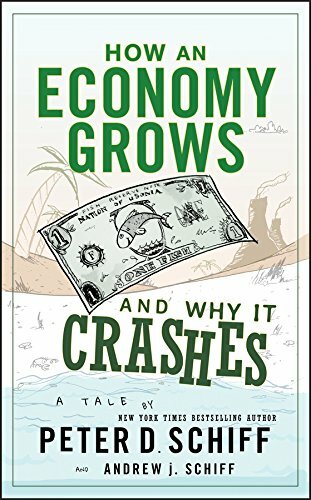 How an Economy Grows a... Peter D. Schiff, Andre... Check Amazon for Pricing. So bubbles can expand a lot more than seems possible. Many markets, like the Chinese one which is down 27% have topped. Others like US indices finally look like they have reached the end of the road. Sound investment markets function efficiently based on scarcity of capital. But when capital is endless and can be created at will by a printing press or an electronic entry on a computer, markets are no longer sound, nor efficient. And this is where we are today. There is nothing sound about markets or the economy today. Government and central bank manipulation combined with Algorithmic trading is as far from sound markets as you can get. But this is the sick system that dominates markets today. No ordinary investor can compete against Algo based systems backed by unlimited amounts of capital. So Algos means a system that will always beat a human trader and that will inflict pain. What a painful disadvantage to us normal mortals. With the odds stacked against any trader without access to massive computer power and even greater capital, it is easy to understand why many investment banks never have a loss month and often not even a loss day. As I have expressed in recent articles, my preferred scenario is that stock markets have now topped and are starting a major secular bear market. As always there is an alternative scenario which I have mentioned before. Bulls don’t die easily as we saw with the Nasdaq in February 1999 when it had gone up 7x since 1990 and seemed massively overextended. That was the time when every single amateur investor, whether they were housewives or petrol station attendants, were all proclaimed tech stock experts. Even in January 1999 with the massive rise of the market for 9 years, the bull wasn’t giving up easily. In the ensuing 13 months, the Nasdaq more than doubled before crashing by 79%. So the melt up scenario of Steve Sjuggerud of Stansberry Research is certainly a possibility. Steve has a great track record and he is convinced that for the next 6-12 months we will see a massive final move up in markets which when it ends will lead to an even bigger crash. As usual we then have “On the one hand… and on the other hand” as Tevye in Fiddler on the Roof contemplated. What is clear is that both scenarios will end in disaster. The only question is if the inevitable collapse will happen in 6-12 months’ time or much sooner. The risk averse and wealth preservationist gets out now, holds gold and silver and doesn’t worry if the market goes up further. He knows he is protected against the coming disaster whenever it comes. The perma-bull will stay invested even when the market has gone down by 50% but will start getting itchy when the market is down 75%. Most long term investors will stay invested even if the market goes down by <90%, which is very likely in my view. 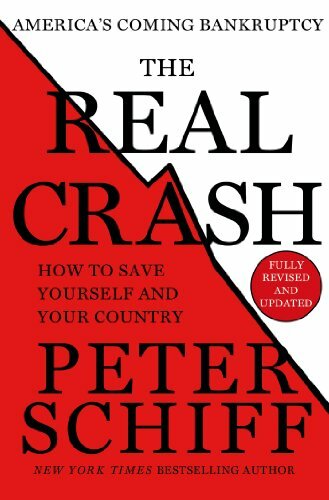 The Real Crash: Americ... Peter D. Schiff Check Amazon for Pricing. Personally I prefer not to be exposed to the general stock market, except for maybe a small position in precious metal stocks. The really cautious should not be exposed to the fragile financial system either. Banks are unlikely to survive in their present form. They might be saved by massive bail-ins which means client assets will be confiscated. Also, due to the coming unlimited money printing and debasement of currencies, any money you have in the banking system will become worthless. You will sleep much better and protect your assets by owning physical precious metals than riding a final potential stock market move up. Also, even if the stock market does move up, gold now seems to have finally ended the correction since 2011 and is on its way to new highs and well beyond.